This is the first book written by W. D. M. Bell, an intrepid adventurer, who was known far and wide as "Karamojo" Bell for his extraordinary elephant-hunting exploits in the Karamoja province of Uganda and elsewhere. 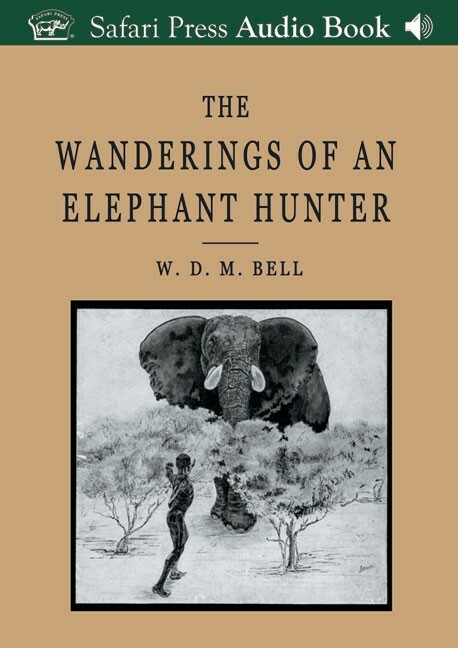 Wanderings, considered by many to be the greatest of all elephant books by the greatest of all elephant hunters, is a series of elephant-hunting essays and stories from the glory days of Bell's career. It gives Bell's experiences in Uganda, Sudan, Ethiopia, Central Africa, and West Africa. Bell's approach to elephant hunting was unusual for his day and time. He studied the anatomy of elephants in order to establish the trajectory of bullets from any angle, and he discusses his theories in this CD. Foremost an elephant title, Wanderings also includes tales of derring-do with buffalo and lion. Wanderings is one of the best of all the old elephant-hunting titles and is a must-have for all hunters. Submit your review for "The Wanderings of an Elephant Hunter (Audio CD)"